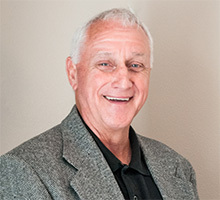 Butch Robichaux has been a practicing clinician for 33 years specializing in depression, anxiety, and stress reduction. He is a licensed HeartMath provider, which is a state of the art emotional management system using heart intelligence to counteract the negative thinking pattern of the brain that fuels anxiety and depression. He has spent the last 10 years studying Herbalism and plant medicine, and offers herbal education and consultations. His approach to therapy is one of taking responsibility for ones physical, emotional, and spiritual health. He combines his various knowledge of heart intelligence, mindfulness meditation, nutrition, quantum physics, spirituality, and our need to be connected to nature, to help others to create a healthy vibrant life style. When not working you will find him walking in the woods, wildcrafting plants for medicine, or working in his garden. He is a full time cheerleader for the wonder and beauty of the Universe.